Customers can choose 2D Grade Guidance or 3D Grade Guidance. 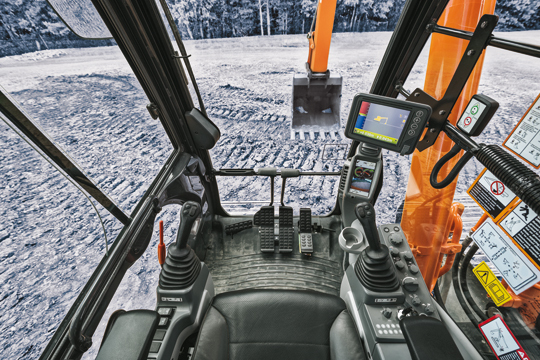 The 2D Grade Guidance with an optional laser receiver displays the elevation of the cutting edge in relation to a reference plane while the 3D Grade Guidance with Global Navigation Satellite System (GNSS) displays position and elevation with respect to a global reference. 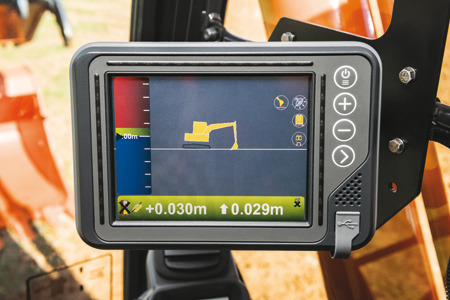 ystem data from both options can be sent to ZXLink™ for analysis, so the machine’s health can be monitored to keep projects up and running.